Maintaining your health is something that will become more and more important as you age. The reason behind this is simply because you will feel the consequences of advanced age much more as a senior citizen. There are many things you can do to improve your health such as exercise or by switching up your diet. However, to make your efforts more effective, it is a good idea to learn about the current state of your health through a home health check. Convenience: Rather than having to go to a clinic, which can be a hassle especially at an advanced age because you will need to rely on non-emergency medical transportation or see if a friend or family member can drive you, we will simply go to you. With this convenience, we make it easy for you to stay up-to-date on the current condition of your health, so you can take the proper steps towards maintaining or improving your life. 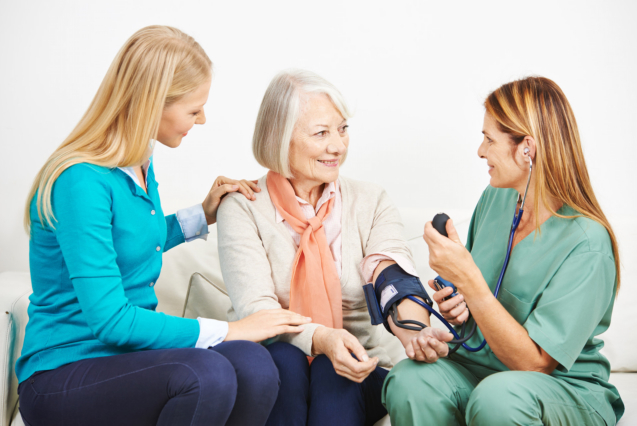 Information: We can provide an assortment of important information about your health by checking your blood pressure, cholesterol, blood sugar, red blood cell count, and much more. By knowing this information, you will have a better idea on what you have to do to improve your health. This can also be used to tailor make your diet to better suit your needs. Independence: These services can help you maintain your independence. This means assistance with household chores like cleaning the house and personal care like grooming. These techniques all contribute to your health, which will allow you to maintain your youth. Those are just a few of the important reasons to consider a home health check as a senior citizen. You cannot improve your health if you do not know what needs improving. Allow us to help give you the helping hand you need and as a Home Health Care, we offer an assortment of personalized caregiving services that can help you live a fuller and more satisfying life. This entry was posted in Health Check and tagged Health Care, Home Healthcare Professionals, Staffing Agency. Bookmark the permalink.